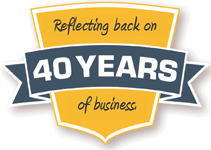 July 2015 - As we continue to celebrate our 40th year in business, we've been reviewing our archives and are showcasing some of the exceptional interviews we have conducted with industry experts. This month, our focus in on an interview we did in 2004 with John Pittman, former President and CEO of the Fieldbus Foundation, who spoke to us about the early days of automation, the progress of open systems and the "greatest generation". John played a major role in making the automation industry what it is today. At the time of our interview, he had just received the ISA's Outstanding Achievement Award. He held key positions at Bailey Controls, the Control Systems Integrated Association, GE and Tri-State University. In our interview, John talks about high-speed Ethernet, Open Systems, and the consolidation that's been going on in the process control world.